Presently, Jeff is managing member of the Jeff Holmes Group LLC, a Veteran-owned small business focusing on the multiple aspects of consulting services for businesses at all functional levels of planning and operations. 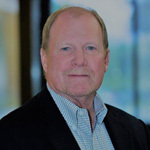 Prior to starting the Jeff Homes Group LLC, Jeff acquired over 30 years of experience in various leadership and directorial roles working with multinational companies around the world. He began his management career working in various divisions of Mars Inc. as a Logistics Development Manager, and later Director, developing logistics and operations teams. He managed budgets of over $100 million dollars in Russia, Canada and the U.S. He then became the Executive Vice President and President of Worldwide Operations for the Manugistics Group Inc. for nearly a decade, where he was responsible for all revenue ($200+M) and client management worldwide. For the next 10 years Jeff served as Managing Director / Partner at Pricewaterhouse Coopers LLC (formerly PRTM Management Consultants) as a senior leader of the Management Consulting (Advisory) business and was responsible for its continued development and expansion with Global Public Sector and retail/consumer sector companies. In his most recent role, Jeff served as Senior Vice President of Government Solutions & Auction Management at Iron Planet LLC, the largest global on-line marketplace for used equipment. He developed business plans, marketing and sales/operations strategy for 20% YOY growth in all public sector marketplaces. While there, he also built a team of tele-sales/inside sales personnel in three locations globally (California, Texas and Ireland) which resulted in an increase in brokered sales from <$50M to >$100M in 18 months, achieving the highest ever revenue contribution to the company in over 15 years. Jeff is a former member of the Board of Directors American Electronics Association (AeA). He also serves on the Society of International Logistics Board of Advisors and is a member of the Association of the United States Army (AUSA), National Defense Transportation Association (NDTA), National Defense Industrial Association (NDIA) and the Grocery Manufacturers Association (GMA). Jeff is an honors graduate from the U.S. Command & General Staff College (Strategist). He received his M.A. in Contracting and Acquisition Management from the Florida Institute of Technology. He also holds a B.A. in Political Science from the University of Pittsburgh. Jeff served in the U.S. Army for 20 years as a Career Armor Corps Officer & Acquisition Officer. He retired as Lieutenant Colonel.